The highly sought after 5150 decal is now available to everyone! Taken from the original specifications on Eddie Van Halen's personal guitar, this decal will look great on your guitar, car, laptop, or anything else you can think of. The package also includes 2 star decals. 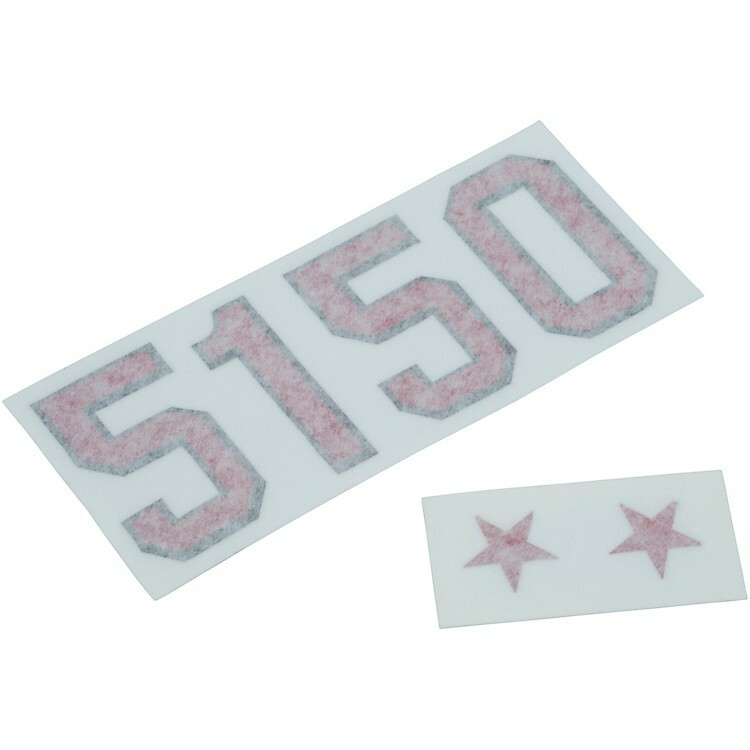 5150 decal measures 2" x 5", stars ¾" x ¾".